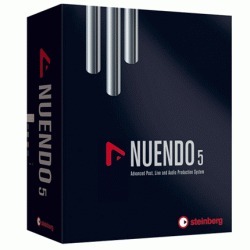 Steinberg has released a maintenance update for its post-production solution Nuendo 5. Version 5.5.2 addresses several issues, including the video engine performance and the MediaBay usability. Video engine optimizations: Under Windows OS, Nuendo 5.5.2 features further improved decoding performance for Motion JPEG OpenDML video in AVI containers as well as Photo JPEG material. Project: "Delete time" command now works properly if signature track is enabled. Audio: Converting tracks containing audio from VST Sound Sets from multi-channel to mono format no longer renders the application unresponsive. Audio: Selecting multiple files in the pool executing an offline-process no longer processes the only the first selected file. Record: Recording MIDI in “merge” mode no longer creates additional MIDI parts instead of merging. Record: Sample rates different than 44.1kHz no longer lead to multiplication of lanes due to wrong overlap resolution on project load. Video: Switching between Projects, doesn’t lead to video issues anymore. Video: Audio / Video file length mismatch no longer occurs. MediaBay: Enabling the "Align beats to project" and "Wait for project play" options no longer leads to playback issues with loops in the MediaBay previewer. MediaBay: Deleting multiple attributes for an item no longer affects other attributes than those selected. MediaBay: Naming folders with dots no longer leads to cropped names in the result view. MediaBay: When the preference "Scan unknown file types" is active, audio files without file extensions are now properly recognized when scanning. 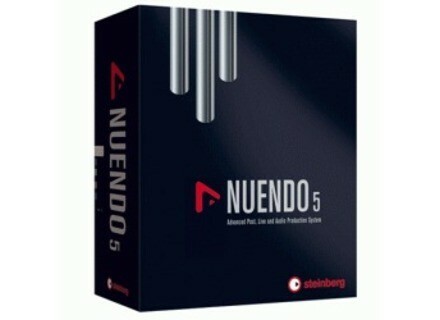 VST Bridge: VST 2 32-bit plug-ins in Nuendo in 64-bit mode under Mac OS X Lion are now displayed properly. VST-Bridge: Under OS X certain plug-ins no longer show up as bridged even though they were updated to support 64 bit. VST Expression: The VST Expression tab is now available in the Score Editor. VST Expression: When playing back in cycle mode all VST Expression commands are executed entirely. Track Freeze: Possible application crash when un-freezing HALion 4 Instrument Track is fixed. Marker position in exported CSV files is corrected for NTSC and HD frame rates. Control room volume can be operated from Euphonix MC controller when import or export window is opened. Transport: Using the scrubbing tool no longer leads to click noises. Sync: The sync frame rate is displayed properly in the Transport panel now. Plug-in: Using REVerence as an offline process plug-in now works properly. MIDI: Dragging a part no longer leads to inaccessibility on newly created MIDI tracks. Comping: Copying comped audio events no longer leads to moving instead of copying the events. Opening the Audio-Menu doesn't lead to unintended crossfades anymore. Interleaved multi-channel files in 5.0 format without BEXT meta data are now always interpreted as 5.0 files. (was: LCRS+LFE). PropellerHead Ryan Greene Alt Drums ReFills Propellerhead released the latest installments in its ReFill Creator Series: Ryan Greene Alt Drums. [NAMM] iConnectMuse iConnectivity, developer of accessories and applications for iPhone, iPod touch and iPad, debuted the iConnectMuse at the 2012 NAMM Show. Ueberschall Punk Rock Ueberschall releases Punk Rock, the first part of the new Rehearsal Tape Series.